What is a "dark bet" in the game of poker? 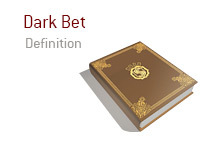 What is the definition of the term "dark bet" in poker? In poker, a "dark bet" occurs when a person bets without looking at their hand. There are various situations in which a person may dark bet. To start, a player may simply be showboating by placing a "dark bet". Phil Hellmuth, for instance, has been known to place dark bets while playing in televised cash games. Another reason why a person may put out a "dark bet"? Math. For instance, let's say that you are the big stack at the table in an online tournament. You are in the SB, and action folds around to you. The BB is very short-stacked and you will be putting him all-in if you decide to just mini-raise. Given this situation, and given the "dead money" in the pot, raising with any two cards is the correct play, regardless of your hand. You are playing in a lively $1/$2 No Limit Hold'em cash game at your local casino. Everybody has been drinking, and everybody is having a good time. 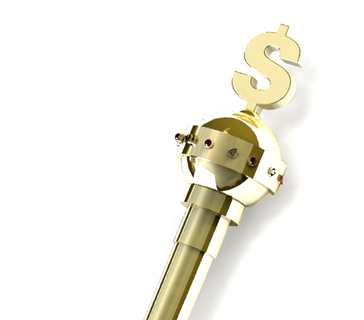 A player in middle position puts in a standard 3x raise and action folds around to you on the button. Without looking at your cards, you decide to put in a re-raise. The player that you are re-raising is very tight, and you believe that he will likely fold his hand if he has anything other than KK or AA. The SB and BB both fold, and the original raiser decides to call after a bit of thought. You are almost certain that he has AK. The flop comes 2h-2s-7h. Your opponent checks, and you once again bet without looking at your cards. Your opponent quickly folds his hand, and you triumphantly take down the pot without ever having looking at your cards.